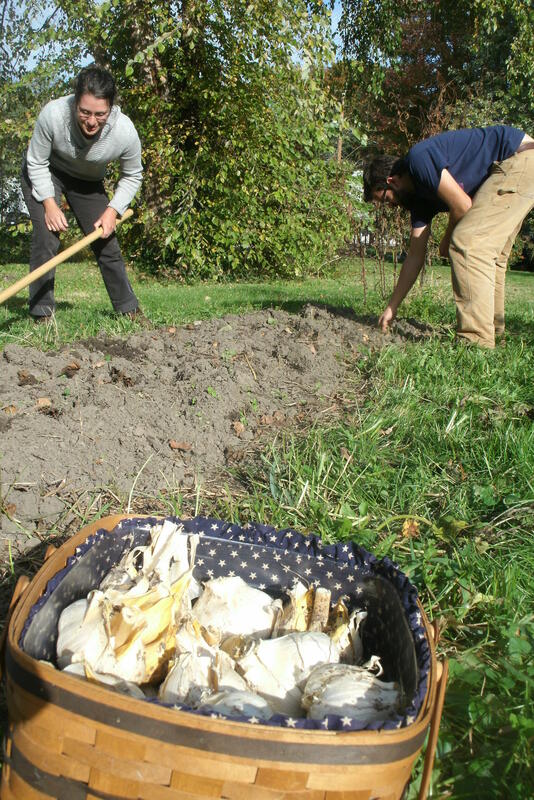 In this debut of the new KBIA gardening segment Farm Your Yard, Carrie Hargrove and husband Billy Polansky prepare a bed in mid-October in their home garden for planting garlic. Carrie chose elephant garlic to plant, which is much larger than most garlic varieties. 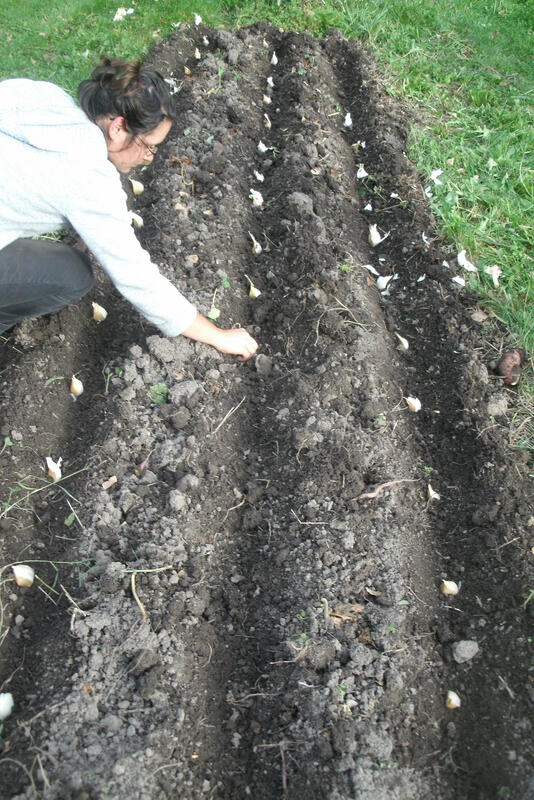 Carrie planting garlic. 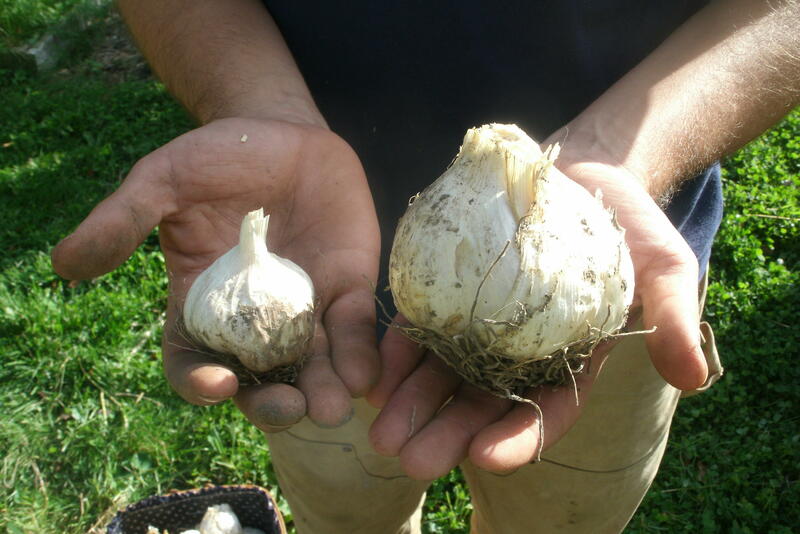 The larger elephant garlic variety requires more space than does most smaller garlic bulbs. Carrie and Billy cover the freshly planed bed with mulch to protect garlic from winter cold. Garlic is a relatively simple crop to grow in your yard or garden. Plant it in the fall under a good cover of mulch and with a little care you'll harvest your garlic bulbs early the following summer. 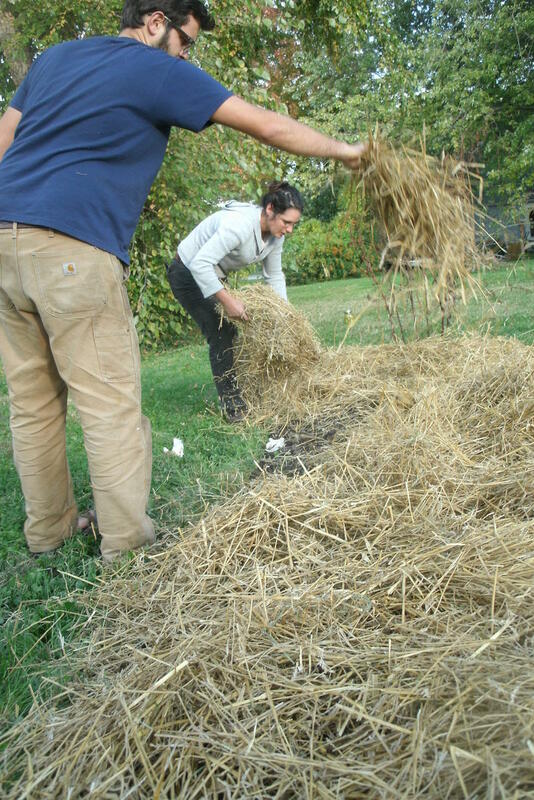 On this the first installment of KBIA's Farm Your Yard host Carrie Hargrove walks us through the process. Carrie is the Farm Manager for the Columbia Center for Urban Agriculture. 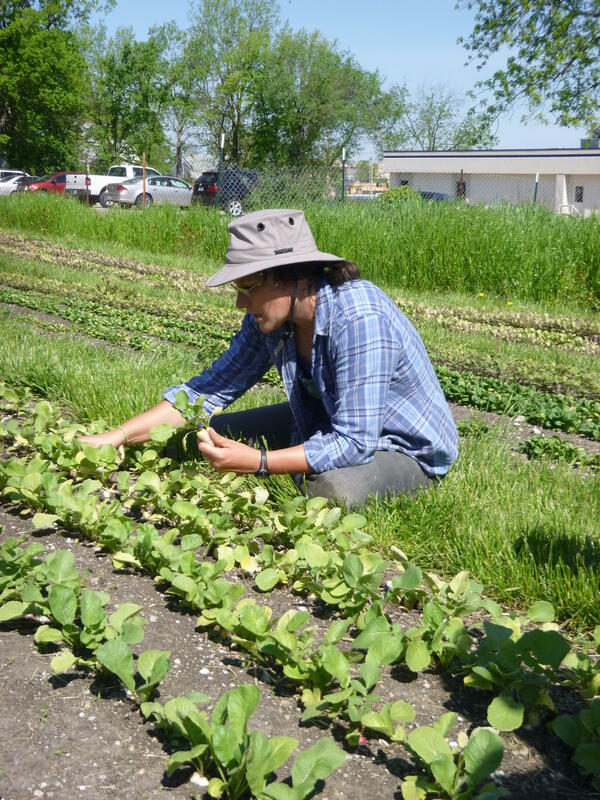 Columbia Center for Urban Agriculture Farm Manager Carrie Hargrove is the voice of KBIA's new gardening segment Farm Your Yard. You might predict that KBIA would launch a gardening segment in the spring. (Here we are being unpredictable again.) Listen here to the Thinking Out Loud premiere of Farm Your Yard. 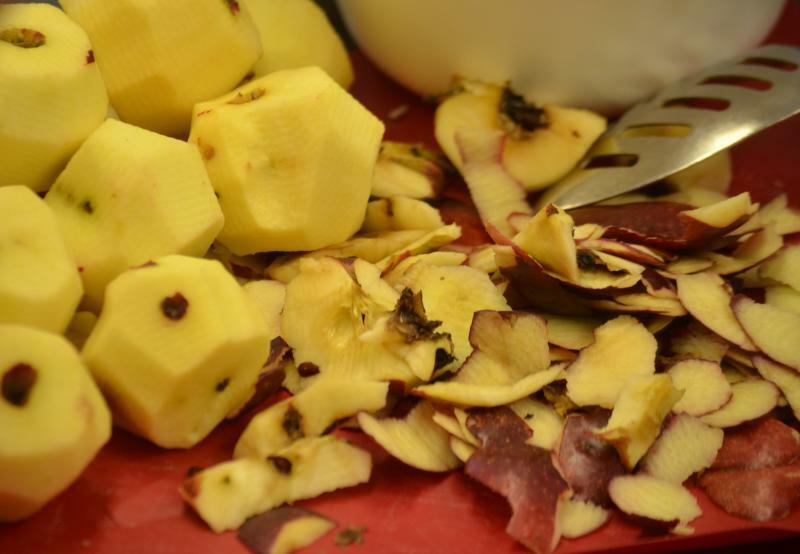 On this installment of the occasional series, Columbia Center for Urban Agriculture Farm Manager Carrie Hargrove educates us on how to put in a successful fall planting of garlic. Listen to Thinking Out Loud each Tuesday at 6:30 p.m. on KBIA. Past episodes are here. Dig into more information about the Columbia Center for Urban Agriculture here.